Recognized master’s degree in the research fields mentioned in the call of applicants or other related subjects. To be eligible for admission to the programme students must have a high-quality master’s degree or an equivalent academic degree from an internationally recognized university. Early-stage researchers are those who, at the time of employment by the host university, are in the first four years (or full-time equivalent) of their research careers and not in possession of a doctoral degree. This is measured from the date they obtained a degree which formally entitled them to embark on a doctorate, either in the country in which the degree was obtained or in the country in which the research training is provided, irrespective of whether or not a doctorate was envisaged. Conditions of international mobility of researchers: Researchers are required to undertake transnational mobility (i.e. move from one country to another) when taking up the appointment. At the time of employment by the host university, researchers must not have resided or carried out their main activity (work, studies, etc.) in the country of their host university for more than 12 months in total during the last 3 years. Short stays, such as holidays, are not taken into account. English language: Applicants must demonstrate that their ability to understand and express themselves in both written and oral English is sufficiently advanced for them to fully benefit from the network training. Recognized English language certificates (e.g., TOEFL, IELTS) must be submitted along with the application. Please outline your academic and professional experience during the four years following your graduation. For how long have you been working in a field of research? In which countries have you lived since 30 September 2015? The PhD funding is for a full-time employment of 36 months. The applicants must have passed a qualifying examination that corresponds to 300 ECTS credits (e.g. a Bachelor’s degree allocated 180 ECTS credits and a Master’s degree allocated 120 ECTS credits) no later than the day before the enrolment starts. The terms of employment are in accordance with the agreement between the Danish Ministry of Finance and the Danish Confederation of Professional Associations, as well as with the protocol to the agreement covering staff with university degrees in the state sector. All applicants must document English language qualifications comparable to an 'English B level' in the Danish upper secondary school ('gymnasium'). Please see this page for further information here. The fixed term contract under offer is governed by and to be construed in accordance with English law. The term is fixed to three years. Applicants need to warrant that they are legally entitled to work in the United Kingdom and will throughout the term continue to hold a valid United Kingdom work permit if appropriate. The PhD funding is for a full-time employment of up to 36 months, subject to satisfactory academic progress. Applicants whose first language is not English will be expected to produce a proof of proficiency in the English language. In the case of the International English Language Testing System (IELTS), the overall score needs to be 7.0 with no sub-test less than 7.0. More information is available at: the University of Glasgow College Arts Graduate School website. The normal standard of admission is at least an Upper Second Class Honours degree (2:1) or equivalent but candidates will normally also have completed or be undertaking a Masters qualification in a relevant field. The University of Glasgow fees for postgraduate study would be waived for POEM MCSA PhD Fellows. The fixed-term nature of this contract is based upon Section 2 of the Academic Fixed-Term Labor Contract Act (Wissenschaftszeitvertragsgesetz, WissZeitVG). The term is fixed to three years. The University aims to increase the number of women in research and teaching and explicitly encourages qualified women to apply. Equally qualified female applicants will receive preference in accordance with the Hamburg Equality Act (Hamburgisches Gleichstellungsgesetz, HmbGleiG). Severely disabled applicants will receive preference over equally qualified non-disabled applicants. For general information on doctoral studies at University of Hamburg, please refer to here. For information on doctoral studies at the Faculty of Humanities at University of Hamburg please see here (in German only). PhD funding is for a full-time employment of 48 months. Applicants must have a Master’s degree in Information Studies, Library and Information Science, Archival Studies, Museum and Cultural Heritage Studies or a corresponding degree in a nearby field. Other regulations and requirements indicated here and here. In addition to submitting the applications according to the general Call for Applications of POEM, all candidates applying to the positions at Uppsala University are required to submit their application directly to Uppsala University following the instructions specified in a separate call for applications. Instructions for that call for Uppsala University will be communicated by email to all participants of the POEM general call, and published online on POEM website and at here. 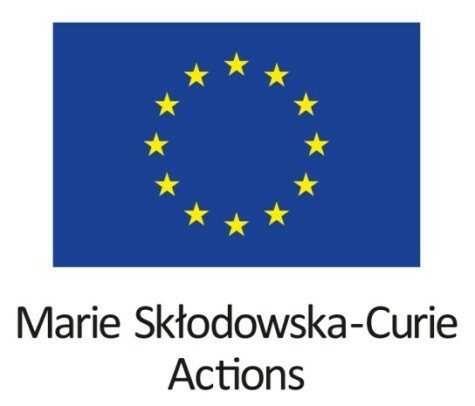 programme under the Marie Skłodowska-Curie grant agreement No. 764859.